Have you heard the news? 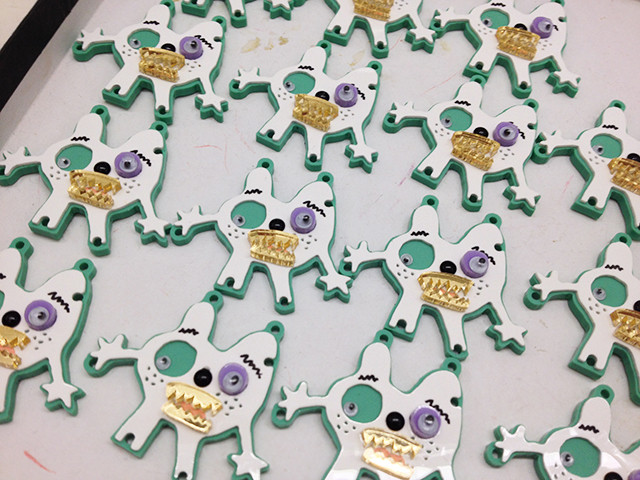 We've teamed up with British fashion designer Kit Neale on a limited edition jewellery collection for his Spring Summer 2015 collection. 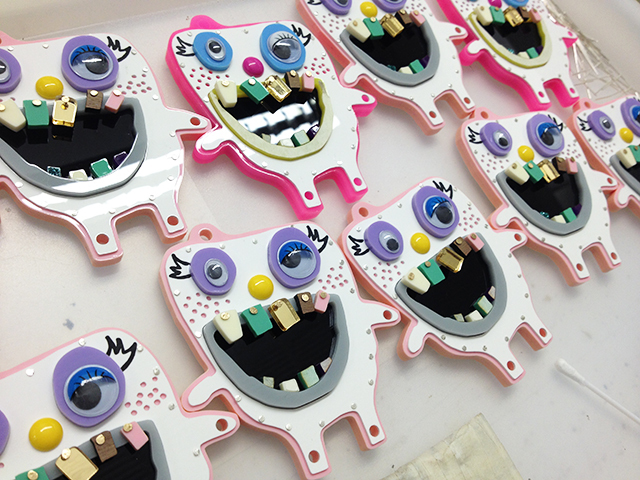 Inspired by Kit’s original drawings, we've translated a family of little monsters into colour pop Perspex, complete with marabou feathers, leather tongues and googly eyes. "We loved working with Kit on this project! 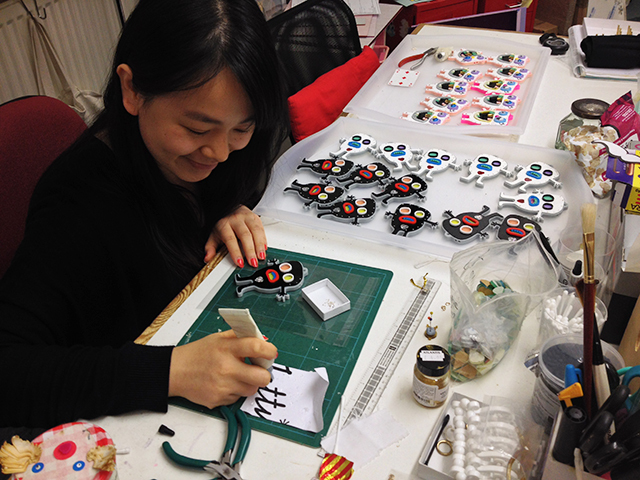 It was really exciting to translate his energetic style and original drawings into Perspex. 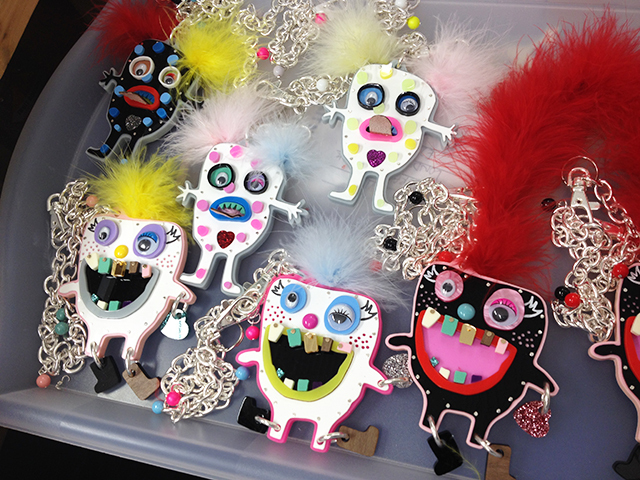 As we brought each little monster to life they became more than just jewellery – they are all individual characters in their own right." 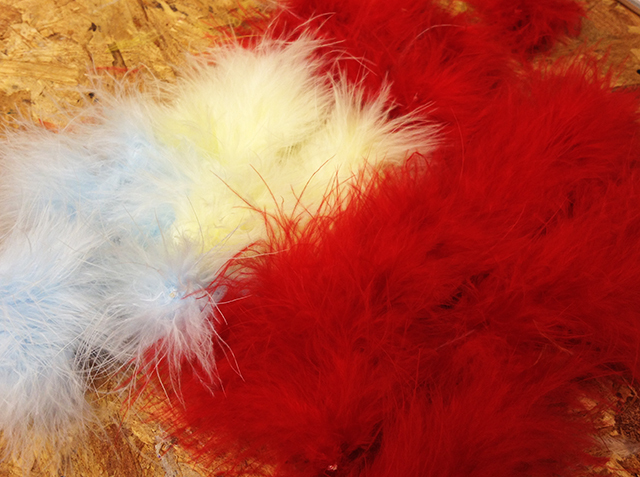 - Harriet and Rosie Of course, things don't always go smoothly when little monsters are around. 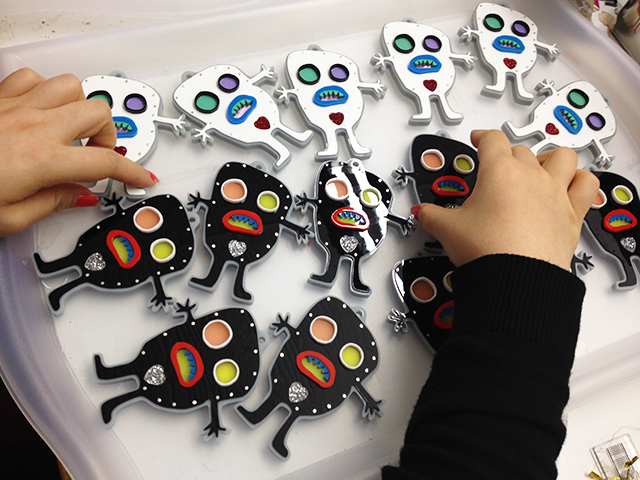 As they came to life in the Tatty Devine studio, they made several escape attempts and even tried to take over the workshop! 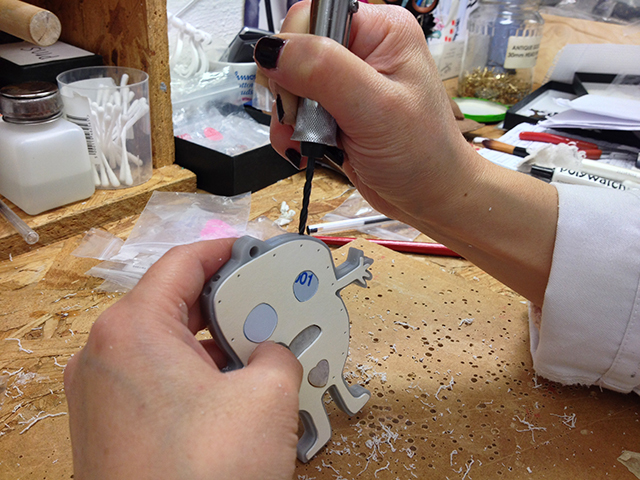 Luckily, we rounded them all up ready to start new adventures in your jewellery box. 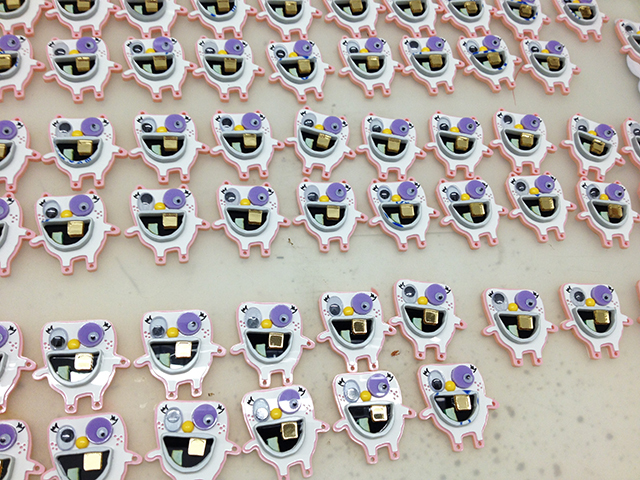 Here are a few sneaky snaps from behind the scenes: Which cute creature is your favourite? 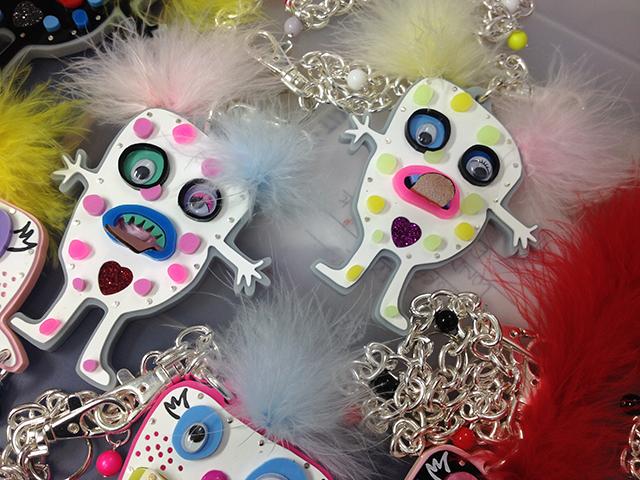 Shop the Little Monsters collection exclusively online now.